A trademark includes almost anything that is used by a person or entity to identify a product or service. This includes product names, company names, logos, slogans, service names, slogans, taglines, colors, product packaging, product shapes, symbols, sounds, fragrances, flavors, and domain names. A trademark functions to identify and distinguish goods and services from those manufactured, sold, or provided by others and to indicate the source of the goods or services, even if the source is unknown. Trademark registrations can be renewed forever as long as they are being used with the corresponding goods or services in commerce. Below are several types of trademarks. First are the standards word and logo marks and the more exotic marks like sounds, product shape, and fragrance, among others, follow. Click here to skip straight to the exotic stuff. A standard character mark is one where the mark has word(s), letter(s), and/or number(s) with no design element and no claim to any particular font, style, size, or color. The character(s) of the mark must appear in the Trademark Office’s standard character set. The character(s) or word(s) of the mark are provided in standard text without any style, font, or graphics. For example, U.S. Trademark Reg. No. 1,452,359, is for the mark “STARBUCKS” as a standard character mark. A standard character mark is sometimes known as a word mark. This type of mark has standard characters embedded in the logo. Starbucks’ U.S. Trademark Reg. No. 1,815,937 is an example of a registration where the text “STARBUCKS COFFEE” is embedded in the Starbucks logo. For factors to consider when determining whether to seek a trademark registration on a word mark or a logo mark, see this post. a sequence of chime-like musical notes which are in the key of C and sound the notes G, E, C, the “G” being the one just below middle C, the “E” the one just above middle C, and the “C” being middle C, thereby to identify applicant’s broadcasting service. Below is a Youtube clip of the NBC Chimes. 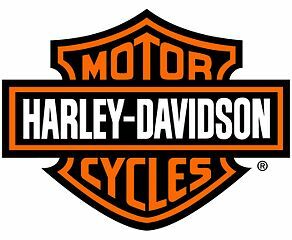 Harley Davidson attempted to obtain a trademark registration over the exhaust sound of its motorcycles in Trademark Application No. 74/485,223, but the application was ultimately denied by the Trademark Trial and Appeals Board. Italian motorcycle manufacturer, Ducati, also attempted to obtain a trademark registration over the exhaust sound of its motorcycles in Trademark Application No. 76/330,675, but gave up on the application after an initial refusal by the Trademark Examining Attorney. 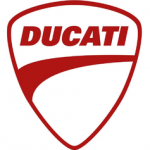 These cases do not mean that motorcycle exhaust sound could never be a registered trademark, but only that the exhaust sounds in these particular cases did not qualify or that the applicant did not pursue further appeals to contest the these rulings. Color marks are mark that consist solely of one or more colors used on particular objects. Therefore a color mark is different from the “MOBILE” example above were color is claimed as an element of a special form mark. With a color mark for goods, the color can be used on the entire surface of the goods, on a portion of the goods, or be used on all or part of the product packaging. Similarly, service marks may consist of color used on all or part of materials used in the advertising and rendering of the services. It is more difficult to show that color functions as a trademark as compared to other types of trademarks. This is because color cannot be inherently distinctive. Which means that an applicant must prove that the color has acquired distinctiveness such that customers associate the color with a single source of the goods or services. The Owens Corning corporation owns U.S. Trademark Reg. No. 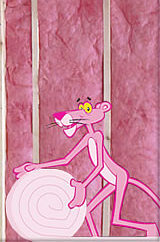 2,380,742 over the color pink as applied to building insulation. The shape of a product and the packaging of a product or service can act as a trademark. When a product shape or product packaging functions as a trademark it is known as trade dress. One example of product packaging trade dress is the classic Coca Cola bottle shape. Coca Cola has a registered trademark (Trademark Reg. No. 1,057,884) over the shape of the classic Coca Cola bottle. 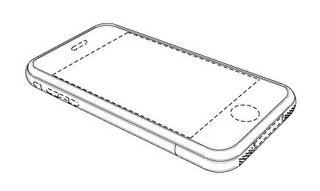 An example of product design trade dress is the configuration of the iPhone being rectangular with rounded corners as shown in Trademark Reg. No. 3,457,218. For a more detailed discussion of trade dress see this article. It is possible to gain trademark protection over a scent, a fragrance, or a flavor as long as it is not functional. Scents that serve a functional purpose, such as perfume or air freshener, are not registrable. A showing that the scent, fragrance, or flavor has acquired distinctiveness must be made such that customers associate the scent, fragrance, or flavor with a single source of the goods or services. The showing is necessary because generally scent, fragrance, or flavor is seen as a functional characteristic of the goods/services by the public and not as a trademark. In other words, more evidence is needed of acquired distinctiveness with these types of marks than with distinctive word marks. One example of a trademark registration over a scent is U.S. Trademark Reg. 2,463,044. In the ‘044 registration, an individual operating as Manhatten Oil has a registration on a cherry scent used with “synthetic lubricants for high performance racing and recreational vehicles.” This registrant has another registration on the supplemental register over a strawberry scent for “lubricants and motor fuels,” and this appears to be the commercial product. When you see a logo on the right shoulder of the back exterior of a garment, even if you can’t make out the details of the logo, do you recognize that logo placement to be associated with North Face? If so, North Face may have developed trademark rights in the placement of any logo in that location. Yet, in 2008 the USPTO was not satisfied that North Face met the requirements for registered trademark protection over such logo placement. 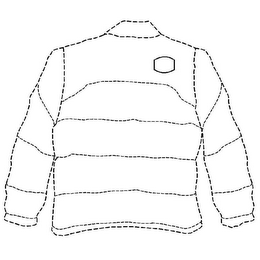 North Face Apparel Corp. attempted to obtain a registration on the “placement of a stitched logo affixed to the right shoulder of the back exterior of [any] garment” in Trademark Application No. 78/622,759. North Face was seeking a trademark registration that would allow it to prevent others from placing of any stitched logo on the right shoulder of the back exterior of any garment. In refusing the application, the Examining Attorney asserted that the placement mark did not function as a trademark and was merely ornamental. North face responded by noting that the USPTO has granted other placement marks. For example, Registration No. 2,058,448 consists of “the placement of a single stone in a center setting positioned at the bottom of the ring” and Registration No. 3,106,789 consists of “the placement of two iterations of a paw design on the bottom of a pet shoe.” (Both of these registrations are now expired because the applicants failed to renew them). Further, North Face argued that it was the only company that provided the placement of a logo on a right shoulder of the back exterior of apparel and that it had been doing so for 17 years. Therefore, North Face argued such placement is widely recognized as associated with North Face and deserved registered trademark protection. 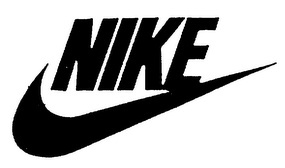 The Trademark Examining Attorney maintained the refusal of the application and North Face later dropped its appeal to the Trademark Trial and Appeals Board. Almost anything that indicates a source of goods or services can act as a trademark. Above are some examples of the various types of items that can achieve trademark protection.